Each LP is pressed onto 180g audiophile grade vinyl created from the original stereo master reels with lacquers cut by Chris Bellman at Bernie Grundman Mastering. Includes a free MP3 download of the entire album (transferred from the new vinyl master). This pressing is not foil stamped. 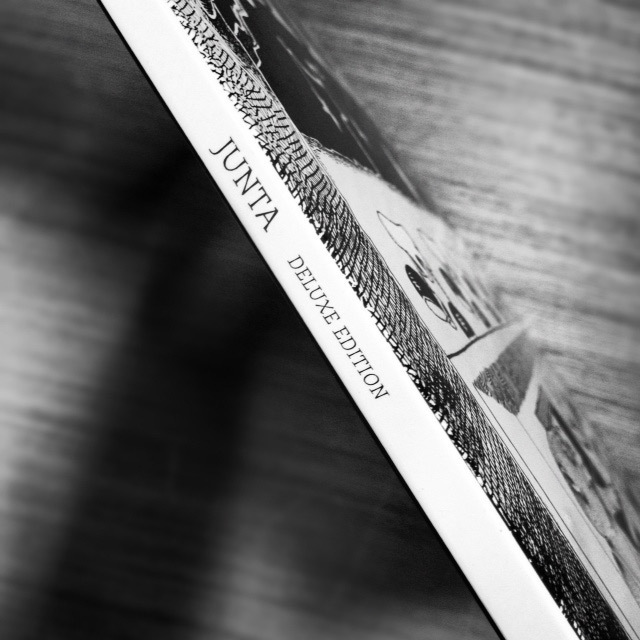 Junta was recorded at Euphoria Sound Studios in Revere, Massachusetts in 1987 and 1988 on 16-track 2" tape and was mixed to 1/4" stereo reels. In addition to writing and performing all the music, the band produced the album themselves. The album was originally self-released on cassette tape in May 1989 with packaging created by the band (included in the new vinyl package). The album was remastered and rereleased as a double CD (and cassette) in October 1992. Junta was certified Gold. The great thing about listening to vinyl records that are pressed off the original analog recordings is that you pick up so many details that are missed on digital. It's so easy to forget how incredible these original studio albums are. Pick up this record, play it on a good deck through a tube amp into some serious speakers and it will change your life. Diving into the first side, all the little foley-style sound effects on Fee really bring the story to life, and then the richness of the Hammond / guitar interplay on YEM is totally mesmerizing. Side B takes you on a ride with Esther, which really plays up the soundstage of the recording and brings you into a bad-trippy carnival ride, raising the emotional stakes of the song through all the warmth, detail, and instrumentality present on the recording. Golgi is punchy and gorgeous, and you get deeper into Foam than you thought possible. Side C is the apex of the album for me and hearing straight analog versions of Divided Sky and Dinner &amp; a Movie is just incredible. The mood changes in Dinner between the discordant driving minor chords into the a cappella section is dynamite. And the massive instrumental journey in Divided - it really doesn't get much better than that! David Bowie occupies an entire side D and the separation of the instruments allows you to follow each member of the band through the long orchestrated sections wonderfully. I almost forgot there was a third disc, but Fluffhead/Travels is one of the all-time great Phish tunes (feeling bummed I missed the last few times they played this one live!! ), and Contact also an all-time classic. All these tunes sound so warm and incredible on vinyl, I was a little hesitant to spend $50 for one record, but it's more than worth it. 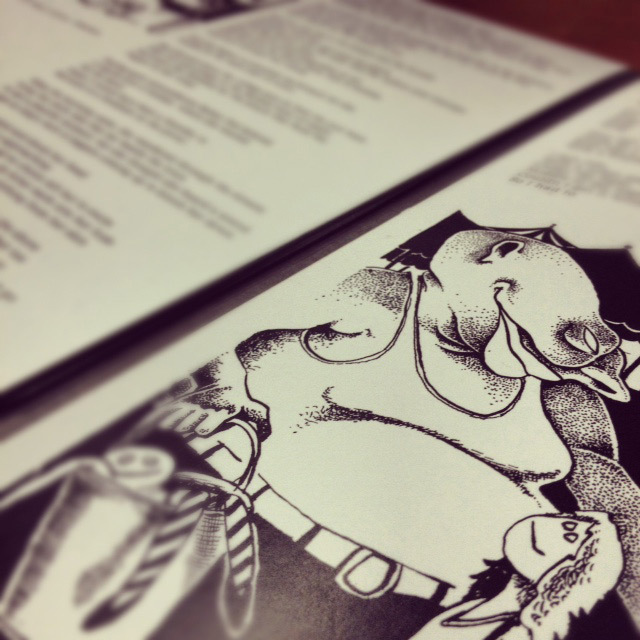 The packaging / liner notes are also gorgeous with tons of illustrations, lyrics, and a really cool triple disc presentation. If you're a Phish fan and an audiophile, treat yourself!! Wrong item received but they sent me a replacement copy right away. Great customer service! Sounds incredible. My ears are very satisfied. I bought a vinyl record and it came in excellent condition. It was convenient and fast. The artwork and lyrics to songs is very amazing looking. I am very happy with this purchase. Esther on vinyl is a must. Awesome vinyl looks cool and sounds great. Always has been my favorite album and now i get to hear the OG crunch on vinyl MMMMM. My one complaint, I spend all my money on Phish and they never play Dinner and a Movie? WTF? Sounds great, really glad I didn't wait in the absurd line at MagnaBall to pay more than I did to have it shipped. Thanks for rereleasing this classic album. Also thanks for the quick exchange because of a warped record. 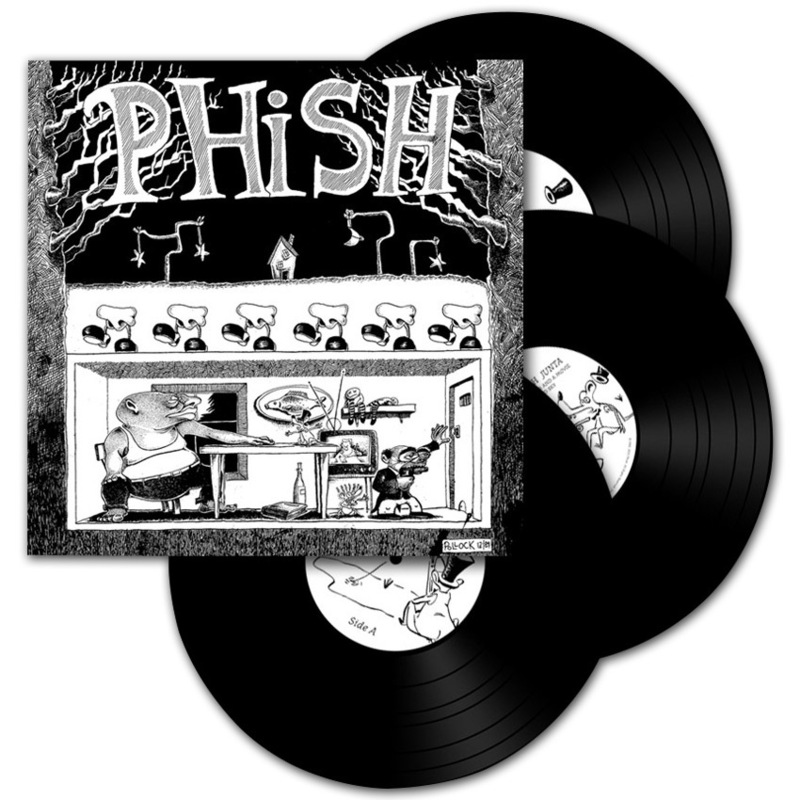 Keep on pressing phish wax! Definitely worth the money. I will try to get the rest while theyre still around.